We’d love your help. 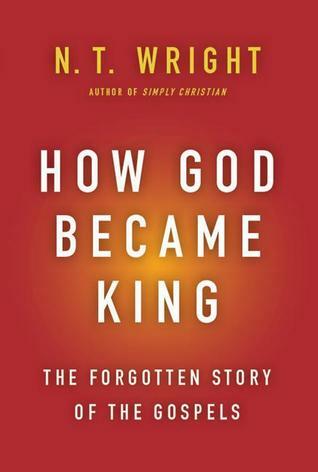 Let us know what’s wrong with this preview of How God Became King by N.T. Wright. New Testament scholar N.T. Wright reveals how we have been misreading the Gospels for centuries, powerfully restoring the lost central story of the Scripture: that the coronation of God through the acts of Jesus was the climax of human history. Wright fills the gaps that centuries of misdirection have opened up in our collective spiritual story, tracing a narrative from Ed New Testament scholar N.T. Wright reveals how we have been misreading the Gospels for centuries, powerfully restoring the lost central story of the Scripture: that the coronation of God through the acts of Jesus was the climax of human history. Wright fills the gaps that centuries of misdirection have opened up in our collective spiritual story, tracing a narrative from Eden, to Jesus, to today. Wright’s powerful re-reading of the Gospels helps us re-align the focus of our spiritual beliefs, which have for too long been focused on the afterlife. Instead, the forgotten story of the Gospels reveals why we should understand that our real charge is to sustain and cooperating with God's kingdom here and now. Echoing the triumphs of Simply Christian and The Meaning of Jesus, Wright’s How God Became King is required reading for any Christian searching to understand their mission in the world today. To ask other readers questions about How God Became King, please sign up. I've decided that N.T Wright is at his most interesting (and usually his most thought provoking) when he writes with a bit of an edge in his voice. That was certainly the case at the beginning of Justification where he takes on the critiques of John Piper and others in the reformed camp who had failed to understand his doctrine of justification. It's also the case here, where Wright confronts traditional readings of the Gospel that have, in his view, failed to miss the point. The central questio I've decided that N.T Wright is at his most interesting (and usually his most thought provoking) when he writes with a bit of an edge in his voice. That was certainly the case at the beginning of Justification where he takes on the critiques of John Piper and others in the reformed camp who had failed to understand his doctrine of justification. It's also the case here, where Wright confronts traditional readings of the Gospel that have, in his view, failed to miss the point. The central question Wright poses in this volume is what are we to do with the middle portions of the Gospels? Usually Orthodoxy skips directly from the incarnation to the crucifixion. While the middle part isn't ignored, we're not entirely sure where it fits beyond containing some interesting biographical material and a proof or two for Jesus' divinity. According to Wright, that's not the point at all. Rather the Gospels are telling us about how Jesus became King and established the Kingdom of Heaven here on earth. The middle parts of the Gospels are more than just interesting side material that we get through in anticipation of the truly important material found in the passion narratives. Rather they are essential to understanding what incarnation and cross are truly all about. Millions of Americans know former Bishop N.T. "Tom" Wright as the man who defends the Bible against skeptics. It certainly doesn't hurt that Wright does this in a wonderfully resonant British accent with the confident air of a latter-day C.S. Lewis, who in his day was a famous media personality himself. But, through several recent books, Wright has been trying to change the focus of his message to something he considers much more urgent for our tumultuous times. Wright has been leading readers down this pathway for years, now, in a series of books that tell general readers about Jesus' life and ministry (especially in his book Simply Jesus: A New Vision of Who He Was, What He Did, and Why He Matters) and about the entire New Testament as seen through the lens of Wright's Kingdom theology (either in his earlier small-group Bible-study booklets or in his 2011 The Kingdom New Testament: A Contemporary Translation). These ideas also can be found in the 2010 book After You Believe: Why Christian Character Matters. In the UK, Wright is well known for his public statements in venues like newspaper commentaries and Anglican gatherings. Here in the U.S., his American fans may still be making their way through his first dozen or so books. Churchgoers on this side of the Atlantic may not have caught up to Wright's current focus in teaching, especially since he stepped down as bishop of Durham in 2010 so that he has more time to teach and write about issues that urgently concern him. I recommend watching the YouTube video in which Wright himself gives a pretty good summary of this book's purpose. We include that video in ReadTheSpirit coverage of the new book. You might compare what he says in the video interview with a similar way he words it in the pages of the book itself. There, he writes: This book is about ... "the new reality of Jesus and his launching of God's kingdom. The new reality of a story so explosive ... that the church in many generations has found it too much to take and so has watered it down, cut it up into little pieces, turned it into small-scale lessons rather than allowing its full impact to be felt. Part of the tragedy of the modern church, I have been arguing, is that the `orthodox' have preferred creed to kingdom, and the `unorthodox' have tried to get a kingdom without a creed. It's time to put back together what should never have been separated. In Jesus, the living God has become king of the whole world." Provocative stuff! And Wright fearlessly raises a whole range of issues that will spark discussion in your small group. In the middle of the book, for example, he takes a shot at both Fox News as well as more liberal cultural icons. In the closing pages of the book, he outlines various ways that people "read" the church's great creeds today that wind up mistaking the central meaning of the Gospels. No question: A discussion of this new Wright book will draw a lively crowd in most congregations. The biggest shift in my theological experience can be traced to an understanding of "the Kingdom of God." I think that this phrase defines Christian denominations--from those who believe it is Heaven, waiting to come to Earth following an apocalypse, to those who believe it is exclusive to the Roman church, a sect exclusively following one Biblical rule or another, to those who see the Kingdom of God as everybody. I was eager to read N.T. Wright's take on the Kingdom of God. He presents a highly The biggest shift in my theological experience can be traced to an understanding of "the Kingdom of God." I was eager to read N.T. Wright's take on the Kingdom of God. He presents a highly theosophical argument here (quite a few times, I felt that I was out of my league), using the gospels as the guide to what kind of community Jesus had in mind. Wright feels that Christians, who skip from "was born of the Virgin Mary" to "suffered under Pontius Pilate, died..." in the Apostle's Creed, miss out on what Jesus was really about. And he uses the various voices of the gospel writers to show Jesus story as one that confronted Roman misrule, one that fulfilled the prophecies of the Jewish writers, and one who was sent by God to set up a kingdom "not of this world." This is my second reading through this book, but there was enough time between the two that many parts seemed almost fresh and new to me. Once again, I am giving this book a solid five star rating. Right at the beginning, NT Wright shares how when he was a young student his Bible club wanted to do an exploration on who Jesus was. Different students were to prepare and share different aspects and Wright felt he drew the short straw. It is easy to talk about the birth of Christ. It is easy to talk This is my second reading through this book, but there was enough time between the two that many parts seemed almost fresh and new to me. Once again, I am giving this book a solid five star rating. Right at the beginning, NT Wright shares how when he was a young student his Bible club wanted to do an exploration on who Jesus was. Different students were to prepare and share different aspects and Wright felt he drew the short straw. It is easy to talk about the birth of Christ. It is easy to talk of his death and resurrection. But his question, "Why did Jesus live here on earth?" seemed quite a bit more difficult. When you look at the Nicene Creed, it jumps right over the life of Christ going from birth to death. NT Wright then uses the picture of surround sound speakers to show that the gospels show four stories that need to be heard in balance in order to understand the music of the gospels. 1st Speaker: "It is important to retell the history of Israel and to show that the story of Jesus is the..." culmination of Israel's history, hopes, and purpose. 2nd Speaker: "The story the gospels are telling, once we turn down the overly loud volume of the second speaker, which has simply been shouting, "He's divine! He's divine!" is the story of how YHWH has come back to His people at last." 3rd Speaker - It isn't just that Jesus was establishing the church. "Rather, the gospels are consciously telling the story of how God's one-time action in Jesus the Messiah ushered in a new world order within which a new way of life was not only possible, but mandatory for Jesus' followers." In this book N. T. Wright explores the purpose of Jesus's earthly ministry as presented in the Gospels. He is concerned that historically, the church has focused on the incarnation and passion of Christ and ignored his ministry (apart from appeals to its proving his deity or making possible his active obedience). Wright realizes that major problems ensue when the middle of the Gospel story is divorced from the ends (incarnation and cross), and he highlights the Social Gospel as the primary examp In this book N. T. Wright explores the purpose of Jesus's earthly ministry as presented in the Gospels. He is concerned that historically, the church has focused on the incarnation and passion of Christ and ignored his ministry (apart from appeals to its proving his deity or making possible his active obedience). Wright realizes that major problems ensue when the middle of the Gospel story is divorced from the ends (incarnation and cross), and he highlights the Social Gospel as the primary example of that problematic approach. His goal in this volume is to integrate the whole. ○ "To teach people how to go to heaven" (42)—Wright focuses on the fact that heaven is not the biblical goal but a renewed earth. Eternal life is not about disembodied souls in a timeless state but about life on earth in the age to come. He is correct about this. But if going to heaven is translated "to enjoying eternal life in the age to come," this is a question that Jesus addresses at key points in his ministry, Nicodemus and the Rich Young Ruler being key examples. ○ To provide people with an ethic for life—Wright is rightly concerned that Jesus not be reduced to another Buddha or Muhammad who taught religious truths to people. However, when contextualized in the larger picture of Jesus's ministry, Wright correctly embraces the idea that Jesus was teaching people how they ought to live. ○ To provide a moral example—Wright grants that Jesus is an example to be followed in some particular ways (e.g.,, 1 Cor. 11:1 or Mark 8:34). But he rejects this answer for two reasons. First, Jesus is not an example that we are able to copy. We just can't live up to his standard. Second, Jesus is doing unique things in his life that no one is supposed to try to imitate. ○ "His perfect life means that he can be the perfect sacrifice" (50)—Wright is willing to grant the Bible does present Jesus as the sinless sacrifice and that his sinless life is part of this. He notes John 8:46 (cf. Mark 10:18); 2 Cor. 5:21; Hebrews 4:15; 7:26; 1 Peter 2:22; 1 John 3:5; Luke 23:14-15, 22, 31, 41, 47 (p. 50). Wright rejects, however, the Reformed teaching that Jesus fulfilled the Mosaic law and its teaching about Jesus's active obedience (Romans 5:19) (p. 51). Overall, Wright concludes, "But, beyond these passages [noted above], the gospels show no interest whatever in making the link that much traditional teaching has employed. If that was what they were trying to say, you'd think they would have made it a bit clearer" (51). But Wright himself has assembled an impressive array of passages that make this point. He could add to this the Old Testament background that stands behind Mark 10:45, and he could factor in the significance of the temptation accounts which stand at the beginning of the Synoptic Gospels' presentation of Jesus. This seems to be an important element that should play a role in whatever answer is given the question of the significance of Jesus's ministry. ○ To provide us with stories "so we can identify with the characters in the story and find our own way by seeing what happened to them" (52)—Wright again acknowledges that this is a possible and legitimate use, but he doesn't believe it is reason the Gospels were written. ○ "To demonstrate the divinity of Jesus" (and his humanity) (53)—Wright believes the Gospel writers would have affirmed Jesus these points, but he says even John who opens with this theme does not make it the major theme of his gospel. Rather, John, and all the gospels are "to tell us what this embodied God is now up to" (54). Wright's affirmation is correct, but his denial is too sharp. My study of Mark has led me to conclude that demonstrating the deity of Jesus is a major theme of the Gospel from its opening verses. Wright responds that the gospels are actually "trying to say that this is how God became king" (57). This is a good summary of the message of the four Gospels (and despite Wright's rather annoying rhetoric of having discovered a lost theme that has been missing from the church until he wrote this book, this theme can be found in Herman Ridderbos's The Coming of the Kingdom and in the writing of dispensationalists such as Craig Blaising). (1) "the story of Israel"—Wright laments that the Gospels have been read as the solution to the sin problem of Genesis 3, skipping over the story of Israel entirely, or looking at it as a "plan A" that went wrong with the gospel as a "plan B" that allows people to be saved by faith without having "to keep that silly old law" (84-85). In Wright's view Jesus is "the climax of the story of Israel"; he is "Israel's supreme representative" who finally does bring about God's purposes for Israel (183). Wright's emphasis on the importance of the story of Israel is commendable. Israel is the national focal point of the Old Testament for significant reasons, and the New Testament must not be cut loose from the Old. But Israel's story is set within the larger human story that begins to go wrong in Genesis 3. Wright is wrong to minimize the Gospels as presenting the solution to the problem that begins there. Wright's comments about not having to keep the "silly old law" are over the top. No serious scholar argues for that. Furthermore, he should not so lightly dismiss the plot of God giving Israel a law that the could not keep and then replacing that law covenant with a new covenant. That is the story that Deut. 28-30 plots explicitly from the beginning (and he ends up summarizing Israel's story similarly less than a hundred pages later, compare 84-85 with 178-79). (2) "the story of Jesus as the story of Israel's God"—Wright thinks that the emphasis of Jesus as God has been overemphasized. In his view, it obscures the more subtle ways that that the Synoptics identify Jesus as Israel's God. It is this that causes people to think John has a high Christology and the Synoptics have a low one. Wright has a point. Jesus is not a generic god incarnate. A tight connection to the Old Testament history and prophecies is important. Nonetheless, Wright seems to write as though conservatives, who have staunchly defended the deity and humanity of Christ in the gospels, and the liberals, who in his view misread the Gospels in different ways, are equivalently in error and in need of his setting things right. This is not fair or accurate. (4) the "clash of the kingdoms" of God and Caesar—Wright insists there is not mere a generic kingdom of God versus kingdom of the devil conflict in the gospels (and in the rest of the NT, for that matter), but a specific kingdom of God versus kingdom of Caesar conflict. I believe this is Wright's weakest point. It seems to me that Scripture emphasizes the clash between the kingdom of God and the kingdom of Satan. Often Caesar is aligned with Satan against God's kingdom, but Caesar can also be called God's servant. I think Wright has done too much reading between the lines on this score. Furthermore, Wright's commendable tendency to ground Scripture in its historical context sometimes causes him to emphasize historical particularities when those are actually instances of broader, universal points. This appears in his handling of justification, and I think this is another instance of it. When these four themes are rightly understood, it becomes evident, Wright says, that the Gospels are about "how God became king." But this raises the question of how Jesus's message of kingdom proclamation and the cross integrate. Wright devotes part 3 of this book to answering that question. But before he delves into this topic, Wright takes a brief detour to argue against the Enlightenment idea that religion is a private matter about how individuals can be "spiritual." In order to understand how kingdom and cross fit together, Wright argues that the privatization of Enlightenment religion must be rejected. Christianity is a public religion that speaks to all of life rather than a private spirituality. Wright's critique of the Enlightenment is right on target. But the question remains: how do kingdom and cross come together? Wright says that Jesus climaxes the story of Israel by suffering as Israel's representative. His suffering now means the story of Israel can move forward. But it is not just Israel, through its representative that suffers, but God himself who suffers. "God himself will come to the place of pain and horror, of suffering and even of death, so that somehow he can take it upon himself and thereby set up his new style theocracy at last" (196). Jesus's suffering renewed God's people, and they follow him by sharing in his suffering which "somehow has the more positive effect of carrying forward the redemptive effect of Jesus's own death" (201). It is through their suffering that the church advances Jesus's kingdom. Then end result is that through the cross the kingdom of Christ triumphs over the kingdom of Caesar. Wright's primary weakness in this section is his dismissal of historic views of the atonement (a secondary weakness is his preterism). He speaks of "distortions that result when people construct an 'atonement theology' that bypasses the gospels" (196). But when he describes the atonement, he says, "God himself will come to the place of pain and horror, of suffering and even of death, so that somehow he can take it upon himself" (196, emphasis added). Throughout this section, the atonement is described with the vagueness of "somehow." This vagueness makes Wright's attempt to connect kingdom and cross less than satisfying. Wright closes by engaging with those who are part of the theological interpretation of Scripture project. He affirms their critique of historical critical scholarship, but he critiques their abandonment of history and their dependence on the creeds. He is not convinced that the creeds alone will guide believers to faithful interpretations of Scripture. Wright argues that the creeds need to continue to be refined by (historically grounded) approaches to Scripture. He does not want to abandon the creeds, but he does want to enrich them by expanding and recontextualizing (with Scripture) their phrases. This critique of theological interpretation does strike at a particular weakness among many theological interpreters. They should reckon with the arguments he makes here. However, Wright too often has precisely the opposite weaknesses: lack of familiarity with historical theology, a tendency to over-historicize Scripture, and a quickness to abandon traditional theology in favor of new perspectives. I love N.T. Wright's material. He has such a refreshing way of explaining theological concepts I've habitually taken for granted (or ignored altogether). In this book, he manages to challenge everything I've always believed about the Gospels while at the same time illuminating some of the most confusing aspects of them. His basic premise is just what the title claims: the Gospels, more so than simple biographies of Jesus, or Passion narratives with extended introductions, are accounts explaining I love N.T. Wright's material. He has such a refreshing way of explaining theological concepts I've habitually taken for granted (or ignored altogether). In this book, he manages to challenge everything I've always believed about the Gospels while at the same time illuminating some of the most confusing aspects of them. His basic premise is just what the title claims: the Gospels, more so than simple biographies of Jesus, or Passion narratives with extended introductions, are accounts explaining how Israel's God (in the person of Jesus), has become king of the world. This perspective makes so much more sense to me of all the material in the middle of the Gospel; all the accounts of water to wine, healing, walking on water, and teaching are far more intelligible as stories of Jesus establishing God's rule over all creation and over all other worldly powers (both political and diabolical). Good and thought provoking. Read through as part of a discussion group and breaking out each chapter week-to-week made it a bit harder to keep all the strands together. Still, worth the read. Incredibly insightful, and thought provoking. You may not agree with all of Wright's points, but there is no doubt this book has substance. We can get into the habit of crafting the gospel into short little talking points. In that process we may be missing some pretty important elements of the narrative. The basic thesis of the book: while the birth, death, resurrection and second coming of Jesus all find their way into the great Creeds and into formulations of the Gospel proclamation, the life of Jesus gets short shrift. Why did Jesus live? What's the point of the "great middle" between the incarnation and death and resurrection? It's just here that the church stumbles and really does not know what to do with the Gospels. They are treated as back story and as proof a sort that 1)Jesus was God a The basic thesis of the book: while the birth, death, resurrection and second coming of Jesus all find their way into the great Creeds and into formulations of the Gospel proclamation, the life of Jesus gets short shrift. Why did Jesus live? What's the point of the "great middle" between the incarnation and death and resurrection? It's just here that the church stumbles and really does not know what to do with the Gospels. They are treated as back story and as proof a sort that 1)Jesus was God and 2)he was perfectly righteous. Wright posits that attention to the Gospels as story reveals what the Gospel is - Kingdom come through Israel's Messiah. Through Jesus God returns to exiled Israel and reigns as King. I buy in. This transforms the typical Gospel message of the Evangelical from "God is holy and angry at sin-Jesus died to pay the price for sin-belief upon Jesus and receive forgiveness-go to heaven when you die" to "Through Jesus Kingdom has come and the death dealing ways of the kingdoms of this world have been dealt the knock out blow." Through Jesus the prayer "may your kingdom come and your will be done on earth as it is in heaven." In other words, the Good News is theocracy - God reigns. For sure, the kingdom has not come in fullness, but after 2,000 years of church history we have demonstrable evidence that it is here. The dispensationalism of American evangelicalism has convinced so many that the kingdom of God is only future and that the mission of the church right now is to get as many into the lifeboats as possible before the world melts away in fire. For sure, this present world will be rolled up like a coat and there will be a new heaven and a new earth. But the fulfillment of kingdom promises does not mean that kingdom is not present until the complete fulfillment. Kingdom presence develops. I am not a postmillenialist who looks to a Golden Age of kingdom come. But neither am I a pessimist who does not see the "saltiness" of present kingdom realities. Through the Second Adam there is on the earth a new race of people who by that presence bring with them the powers of the age to come. This is a robust Gospel that moves the Christian into a life of God's presence as King. 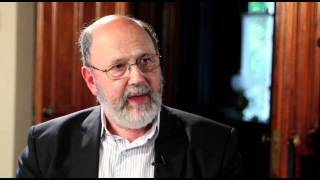 NT Wright interacts with what Evangelicals consider liberal theology. Wright sees liberal theology as addressing issues that Evangelicals have left unaddressed and therefore must be part of the conversation. In the circles I run in theologians like Barth, Brunner, Pannenburg, Moltmann, etc., are not even referred to because of their doctrine of Holy Scripture. If a person is not an inerrantist, that is about all you need to know. Take a pass and move on. Not so fast. Until these people are addressed in the academy, many of the questions of modern man are left in limbo. I have looked forward to reading this book since its publication. I was not disappointed. "Why only four stars?" you may ask. Well, it's not because what is here isn't the best, it's only because I usually reserve my five star praise for his denser, more academic work. However, the more time I spend listening to Wright's lectures and reading his popular level works, the more I value his skill at taking heady stuff and distilling it to people who aren't into footnotes. In this book Wright makes I have looked forward to reading this book since its publication. I was not disappointed. "Why only four stars?" you may ask. Well, it's not because what is here isn't the best, it's only because I usually reserve my five star praise for his denser, more academic work. However, the more time I spend listening to Wright's lectures and reading his popular level works, the more I value his skill at taking heady stuff and distilling it to people who aren't into footnotes. In this book Wright makes the case that "we have all misunderstood the gospels." He presents a case that the church has long stripped the gospels of their Kingdom message and allowed the great creeds of the church (and often our misunderstanding of their full meaning) to filter out Jewish messianic, political, and this worldly hopes. As he has often said in his writings, we have made the kingdom about going to heaven when we die, and we have made salvation about escaping from this old world to sit around on a cloud, playing a harp. We focus on Christmas and we focus on the cross, but both of these get pulled out of shape from what the original message was intended to be because we have separated these events in the life of Jesus from his declaration of the Kingdom. Wright does an excellent job of demonstrating how we came to misread the gospels, why it's not the biblical model, why it matters, and what we might do to fix the situation. This book is important for pastors and church leaders. It is important that we reexamine the lenses through which we read the Bible, and it is important that we help our congregations recover from bad neo-gnostic theology. It's vital that we understand the present ramifications of Jesus being seated at the Right Hand of the Majesty on High. As I'm now teaching Mark I was eager to find suggestions on what we might be missing and get ideas on fresh ways to view this gospel. Perhaps it's the difference of place and denomination, but I didn't find Wright's hypothesis to be as strong as he presents it. In my circle the gospels are not viewed only in the limited way he says. And his ideas were not earth-shatteringly new. In fact, as I read I often thought "That's it?" and "Duh". Quite respectfully, of course. :) Perhaps his points are tr As I'm now teaching Mark I was eager to find suggestions on what we might be missing and get ideas on fresh ways to view this gospel. Perhaps it's the difference of place and denomination, but I didn't find Wright's hypothesis to be as strong as he presents it. In my circle the gospels are not viewed only in the limited way he says. And his ideas were not earth-shatteringly new. In fact, as I read I often thought "That's it?" and "Duh". Quite respectfully, of course. :) Perhaps his points are true for churches that rely on creeds. But many don't. He either ignores that fact or doesn't know it, to the point that I almost felt he was building a straw man in the first part of his book. As I read my heart cried out against the limited view Wright has of present day Christians. I wouldn't have minded as much if he hadn't worked so hard to convince his reader that all Western Christians are narrow-minded in the ways he describes. He tosses around terms like "fundamentalists", "the Western church" and "conservatives" like he's really privy to how everyone thinks. I don't believe he is. This is a good book... but it needed more. Instead of spending so much time talking about how people get the gospels WRONG, I would have loved for Wright to have spent that time explaining what he believed is RIGHT and what the implications of such thinking are. The usual fantastic stuff with the usual problem of encouraging the church to think differently; happy days. Those of us who are following N.T. Wright's massive scholarly project, Christian Origins and the Question of God, are eagerly awaiting his projected fourth volume in the series, which will be on Paul. So we are somewhat frustrated by the seemingly never-ending stream of popular and semi-popular books which flow from his pen. This is not to say that these are bad books, far from it. It's just that we would like to see the major project brought to its completion, which seems more and more unlikely as time goes on. We are compensated for that disappointment, however, by getting some sense of where he is going through these other publications. In this latest book Wright gives us a semi-popular overview of his considered thoughts on the four canonical gospels, focusing on what they have in common, but also showing how each individually develops their common themes. Each in its own way, he says, tells the story of Jesus as the unique human embodiment of God, inaugurating God's kingdom. They share four themes in their telling, 1) it is the climax of the story of Israel, 2) the nature of the God revealed in the story, 3) Jesus as the one who launches God's renewed people, and 4) the clash that ensues between the coming of God's kingdom and the kingdoms of this world. These themes find their proper place and balance when we attend to the way the kingdom and the cross of Jesus shed light on one another. Along the way Wright has a running argument with what he sees as the misreading of the story by most Western Christians. This misreading results in part by treating the historic creeds as outlines of the content of the scriptural canon. The positive role of the creeds is to mark the way through particular areas of controversy that arose out of interpreting the texts. But used as outlines, the silence in the gap between “born of the virgin Mary," and "suffered under Pontius Pilate," leads to the neglect and the misreading of the Gospels. Similar distortions ensue when the" divinity" and "humanity" of Christ are used as templates for reading the gospels. He doesn't disagree with those doctrines, but finds it unhelpful when they are searched for and found in a way that abstracts them from the story of the coming of Israel's Messiah. The book is full of insight into all four gospels and sheds new light on many familiar texts. It's unfortunate that it has only come out in mid-March, which doesn't allow much time to benefit those preaching through gospel material as we approach Easter. And make no mistake; there is a lot of help here. There is also plenty with which one might take issue. One major example would his assessment of Jesus’ conflict with “the powers,” where, curiously, he ignores the emphasis on confrontation with demons found in the synoptic gospels. There is also his tendency to set up “traditional” interpretations using “straw men.” Some suggestions for further reading would have been useful. All in all, though, the book is well worth the investment of time and money. Another in Tom Wright's series of answers to the postmodern challenge. I mistakenly bought this one instead of 'simply Jesus', but was glad to find that they complemented rather than repeating one another. Whereas simply Jesus addresses the why, the who and the how of Christianity, how god became king develops a framework for interpreting the gospels. The need for this seems greater than one might think: whilst most Christians are familiar with the credal doctrines and the theology of Paul, much of the gospels (between the incarnation and the cross) is not captured by the familiar frameworks. This has been a vague awareness for me for some time, whereby Pauline views (or reformation interpretations of him) are uncomfortably forced onto Jesus' parables and sermons. Which is not to say Wright is proposing some kind of unorthodoxy or heresy dressed up as orthodoxy. If anything, he is looking to ensure that the gospels are protected from such interpretation. However, understanding the gospels for their original audience is needed to ensure the individual components can be properly interpreted. Wright's angle on this combines modern scholarship from both liberal and conservative camps, neither wholesale mind you, and provides something that I've found makes a lot of sense. Obviously, the title tells the main message - the gospels were written to explain how God became king. This is told through different channels, capturing the differ nuances of what this means. It is the culmination of Israel, with the competing messianic discourses present in the zealots and pharisaical ideas during Jesus' day. It is the story of God, Israel's God, coming to rescue his people. It is about how Gods new people came to be. And it is about how the enemies of Israel, Rome at that point, were overcome. Since digesting this, I have consistently found that these themes are present in many of the gospel narratives. I have noticed this in the parables in particular: even stories as familiar as the prodigal take on the additional nuance of Jew and Gentile communities and their respective responses to the God revealed in Jesus. Even if there are problems with Wright's views (I'm sure plenty will be posited out there), this approach is moving in a good direction. Firstly, it is addressing a gap, not in the scriptures, but in our theological outlook, with a historians determination to answer the original questions being addressed before later ones came along. Secondly, it encourages a less individualistic view of scripture, and places God, not 'me' at the forefront of what the text means. Worth reading, and probably going back to later as well. I really enjoyed this book. Some of Wright's stuff is a bit more technical and theological, but I felt this was easy to read and comprehend, and his case was well made. I admit, I have read two other books by him just prior to this, as well as another on a closely related topic by Scot McKnight, so maybe this topic just struck me more on the heels of those. Wright lays out the problem - that for the past few hundred years or more, the church has glossed over and missed much of the thrust of what I really enjoyed this book. Some of Wright's stuff is a bit more technical and theological, but I felt this was easy to read and comprehend, and his case was well made. I admit, I have read two other books by him just prior to this, as well as another on a closely related topic by Scot McKnight, so maybe this topic just struck me more on the heels of those. Wright lays out the problem - that for the past few hundred years or more, the church has glossed over and missed much of the thrust of what the four gospels are telling us when they give the details and history of Jesus' life and works. He starts by looking at the early church creeds, and how they jump from the birth of Jesus right to his death and beyond, and how that same mentality has caused us to greatly miss the importance of all of the details in between and what they tell us about the story of Israel, God and the Kingdom. That, combined with an already lack of understanding by the modern church about the importance of understanding that Jesus has come to fulfill and bring in the end of the long story of Israel as laid out in the first testament, has caused further points to be missed when reading the gospels. Thanks to things like dispensational theology/eschatology, their escapist mentality regarding the world we live in, and the division of Israel and the church into two separate worlds, the truth of Jesus' coming to fulfill Israel's story and promises and establish God's kingdom in this world is pretty much totally missed. In this book, N.T. Wright’s thesis is that (Western) Christians have misread the gospels and missed the most important message that they want to communicate, namely the story of “how God became king” (p. x). According to Wright, the central doctrine of Christ’s atonement is actually not at all the main story of the gospels (p. 7). While many Christians focus on the gospel narratives of Christ’s birth, death, and resurrection, the larger parts of the gospels (the time between his birth and his de In this book, N.T. Wright’s thesis is that (Western) Christians have misread the gospels and missed the most important message that they want to communicate, namely the story of “how God became king” (p. x). According to Wright, the central doctrine of Christ’s atonement is actually not at all the main story of the gospels (p. 7). While many Christians focus on the gospel narratives of Christ’s birth, death, and resurrection, the larger parts of the gospels (the time between his birth and his death) are almost completely neglected. Wright sees this omission reflected in the Christian creeds which quickly “jump” from Christ’s birth to his death, completely ignoring anything in between. Although the creeds were originally intended to address and counter certain heresies regarding the person and work of Christ, over time they were considered summaries of the essence of the Christian faith particularly related to the gospel and the gospels. But this is a major problem according to Wright, because it totally ignores the words and works of Christ in his ministry between his baptism and the cross. As a result, Christians have misread and misunderstood the message of the gospels: “The gospels were all about God becoming king, but the creeds are focused on Jesus being God” (20). To support his main thesis that the message of the gospels has been misunderstood, N.T. Wright explores four specific themes in the gospels which he believes are misunderstood or not understood at all by Christians. According to Wright, the message of two of these themes has gone under amidst the “noise” of other themes that receive much more attention. The first of the themes that has been overlooked is that the gospels represent “the climax of the story of Israel” (p. 65). While the creeds never mention Israel, the gospels are obviously the high point that the story of Israel in the Old Testament has been leading up to. Another theme that has been overlooked even more is that of “the kingdom of God clashing with the kingdom of Caesar” (p. 127). In the story of Jesus, this conflict begins with the census that Caesar decreed (p. 135) and ends with his (victorious!) death at the hands of Caesar and the Romans (pp. 144-147). Wright also studies two other themes in the gospels have been over-emphasized or wrongly emphasized, so that they, too, miss the point of what the gospel writers intend to communicate. One of these themes is “the story of Jesus as the story of Israel’s God” (p. 83). The emphasis that Christians have made on Jesus “simply” being God has “drowned out” the message of the whole purpose of “God coming back in person to rescue his people” (p. 93). The other theme that sees the gospels simply as “reflections on the life of the early church” (p. 106) misses the point of their connection to the story of Israel the status of the gospels as the church’s “foundational documents” (p. 111). More than just examples and teaching for the church, “the gospels are consciously telling the story of how God’s one-time action in Jesus the Messiah ushered in a new world order within which a new way of life was not only possible, but mandatory for Jesus’s followers” (p. 118). N.T. Wright goes on to argue that the themes of God’s kingdom and of the cross are predominant in the gospels and interwoven into the four themes that have been misunderstood or wrongly understood. Christians often focus on only one of these themes: either a social gospel of bettering the world and establishing God’s kingdom on earth, or neglecting that aspect and focusing on the message of the cross as the means of saving people so that they can go to heaven. Wright tries to show, however, that both aspects of kingdom and cross belong together and should not be separated one from the other, otherwise the message of the gospels will be distorted. Wright says that “for the gospel writers themselves, there was never a kingdom message without a cross, and Jesus’s crucifixion never carried a meaning divorced from the launching of God’s kingdom” (211). N.T. Wright’s main thesis that all (or the vast majority of) Christians have misunderstood the gospels is a sweeping claim that certainly does arouse attention and draw interest. If this were the case, then Wright’s book would be a ground-breaking work for setting Christians “back on track” with their misguided view and understanding of the gospels. But have all Christians since the times of the first creeds really been left completely in the dark as to what the “true message” of the gospels is? Throughout his book, Wright continually criticizes the false teaching of the Gnostics who saw a need for understanding “special knowledge” outside of the four gospels, but has Wright in a sense become much like the Gnostics by seeing a need for understanding “special knowledge” within the four gospels? Wright does make some valid points regarding some themes in the gospels that have been overlooked to a certain extent, but does a correct understanding of the main message of the gospels really require that such specific background knowledge about the history of Israel or the clash of God’s kingdom with that of Caesar? Has the church never understood that the story of Jesus is about God coming to rescue his people and bringing about a completely new way of life for his people? Such claims are either too high or simply incorrect. I really liked his main point, which is that cross and kingdom are not opposed to one another - I.e. that creedal Christianity and social/political expressions of Christianity ought not be separated, but are inherently connected if one understands the Gospels correctly. I also really appreciated his part about the 4 speakers, or messages of the Gospels about the significance of Jesus' life, and how it is necessary to 'adjust the volume', some needing to be turned up and others turned down. I was I really liked his main point, which is that cross and kingdom are not opposed to one another - I.e. that creedal Christianity and social/political expressions of Christianity ought not be separated, but are inherently connected if one understands the Gospels correctly. I was wondering if he actually believes in life after death until the very end when he clarified that he does. I do think he slightly overplayed the assumption that creedal Christians do not understand the kingdom of God as fully as he explains it, and that they have a simplified escapist understanding of it. I feel that's not totally fair; although certainly some are as he describes, not all are. Really important message of how we have separated God's kingdom from the cross, redemption and earth when it's meant to be the main message of all three. The takes awhile to get to the main point but then it packs a wallop. A really interesting chapter on how we read the creeds wrong and use them to truncate Gods story. I highly recommend this. God's kingdom is here and now and it's time we recognize it. Excellent to read for those who are not familiar with Wrights works. Many of these ideas are presented in his more scholarly works and more in-depth. But for those who don't like getting bogged down in technical scholarship can find this book refreshingly approachable while solid on scholarship. Plus footnotes are present for the reader wanting to go deeper. All around 4-Star read. Definitely recommended. While I enjoyed this book and the case presented. I don't myself find that what he called the forgotten story was really forgotten, at least in Catholic circles in my experience. Although he did have a general caveat about where this was true among Protestant churches, especially ones with a more pauline focus. This book was refreshing, informative, and I believe has made a significant impact in the way I read the gospels. I did feel like it was little difficult to follow and understand at times, which made it intimidating to pick up, but overall worth the read. Vintage Wright: solid and helpful, although perhaps somewhat less unique than he appears to present himself at times. Nonetheless, highly recommended. Great book! Wright really gives a great "bird's-eye" view of this crucial theme. I'm only a quarter of the way through, and I'd already like to make this required reading for all Christians. Please. Read this book. This really needs 6.5 stars. Wright shows a significant gap in the church's reading of the gospels. This is good, even for Wright. •	The church often interprets the gospels through the great creeds. Wright’s major point here is that the creeds had been written in response to some kind of heresy and represent a specific application of the gospel. As such, they are simultaneously correct and incomplete characterizations of Christ. Having grown up in a church that ignored the creeds as additions to the word of God, I both understand and appreciate his argument. •	The church often interprets the gospels using Paul’s writings. While Paul’s writings, as divinely inspired as the gospels, display a lavish wealth of truth, they, like the creeds, were written in and for specific contexts. The gospels, however, had been written to be understood on their own merits and not through the filter of someone like Paul. •	Christians and theologians, both past and present, are constrained by their own worldviews. The way the first-century readers of the gospels would have understood them is different from the way later readers, with a different intellectual background, understand them. I really loved the way Wright fleshed out Jesus’ answer to questioners trying to trap Him with a question about paying taxes to Caesar. Contemporary Christians, as well as I, tend to interpret Jesus’ statement, “Render unto Caesar what is Caesar’s and unto God what is God’s,” in the context of church-state separation, a relatively modern idea. Wright points out that Jesus is merely telling his questioners to “pay Caesar back in his own coin – and pay God back in His own coin.” What is God’s coin? Obedience. •	The first response is to decide that it has no impact because this world is only temporary and our future is in heaven. Wright critique’s this as a type of Gnosticism that misses the point of the gospels but relies heavily on arguments from his earlier book Surprised by Hope, which I haven’t read. •	The second response is to focus on putting the church’s house in order and to be a light to the world without actually engaging with the world. Wright views this position as ignoring Jesus’ claims to cosmic lordship, having authority on earth and heaven. •	The third and fourth responses are to baptize “the right-wing and left-wing politics of a deeply divided society and claim this or that one as Christian.” Wright, with good justification, points out that this is a particular problem in the United States, my home country. He also criticizes both the right and the left for different unchristian values. I really appreciated this for several reasons. First, although I am an unapologetic political conservative, I recognize that while there is overlap between biblical and conservative values, they are not the same and do not put my hope in them. Second, I also recognize that Christians on both the left and the right are yoked together with unbelievers when engaging in the political realm. Christians are, or at least should be, free to push their Christian values, but the unbelievers get a vote, too, and quite likely will pull Christians in unchristian directions. Finally, I have recently read several Christian books that are justly critical of the Christian right while deafeningly silent about the mirror-image problems of the Christian left. This is the first book I have ever read that criticizes both. I may not necessarily agree with Wright on various points, but his balanced treatment of the right and the left has earned him my ear. N. T. Wright is the former Bishop of Durham in the Church of England (2003-2010) and one of the world's leading Bible scholars. He is now serving as the chair of New Testament and Early Christianity at the School of Divinity at the University of St. Andrews. He has been featured on ABC News, Dateline NBC, The Colbert Report, and Fresh Air, and he has taught New Testament studies at Cambridge, McGi N. T. Wright is the former Bishop of Durham in the Church of England (2003-2010) and one of the world's leading Bible scholars. He is now serving as the chair of New Testament and Early Christianity at the School of Divinity at the University of St. Andrews. He has been featured on ABC News, Dateline NBC, The Colbert Report, and Fresh Air, and he has taught New Testament studies at Cambridge, McGill, and Oxford universities. Wright is the award-winning author of Surprised by Hope, Simply Christian, The Last Word, The Challenge of Jesus, The Meaning of Jesus (coauthored with Marcus Borg), as well as the much heralded series Christian Origins and the Question of God.